Description This module shows various environment information. 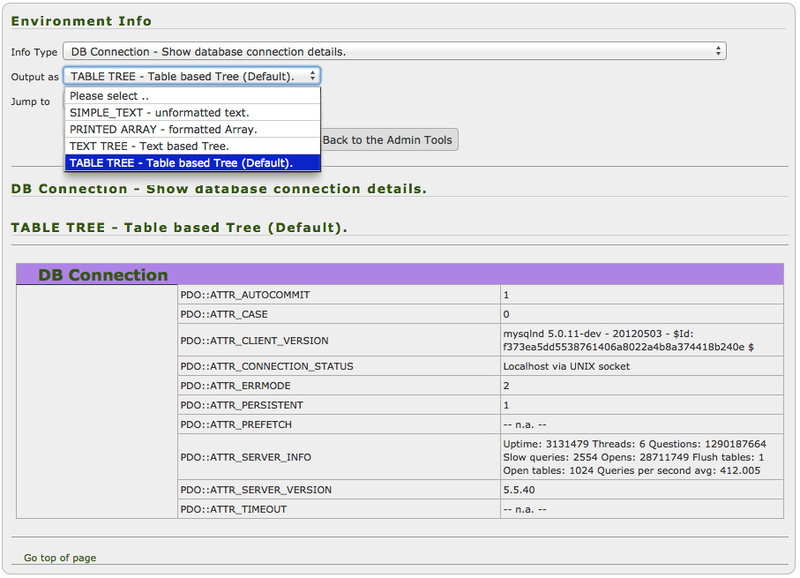 All the informations are build as "addon"s, so it is easy to enhance it wth additional information when needed. - TOOL: show header & footer around generated output only when data to be displayed has been found; redesign "Nodata found"
- outRAW_ARRAY: rename dropdown entry to SIMPLE TEXT" and allow output of text instead of unformatted print_r additionally. - infoSECTION_PICKER: add logic so it should work in WebsiteBaker too.